How to Erase Apple ID from iPhone X/8/7/6/5s? An Apple ID is one of the most versatile accounts you and your family members can have if you use Apple devices. With an Apple ID, your child can access study materials online from an iOS device. He or she can also buy songs, movies, books, apps, use FaceTime, iMessage, iTunes, iCloud, iTunes Match, or set up an iDevice. So, you can see that creating Apple ID for child would be beneficial to him/her. Therefore, we shall be discussing what Apple ID is, how to create Apple ID without credit card, how to create Apple ID for child, and how to put your iPhone in order before handing it over to your child. Part 1: What is An Apple ID? An Apple is a single sign-on service owned by Apple Inc. which assists authentication in Apple’s online services and products such as iWork, iBooks Store, iMessage, Apple Music, Apple News, Podcasts, iCloud, Apple Store, iTunes Stores, etc. using a client’s existing email address from an email provider other than Apple Inc. Creating a new Apple ID is easy and straightforward, but it’s pertinent to mention that Apple Inc. does not support or permit different accounts to be merged, or different Apple IDs to be merged. However, if this is your first time of creating an Apple ID, or Apple has refused to reset the password to your account, then you can proceed with the following steps to create a new Apple ID. Step 1: Open iTunes Store app on your device, and scroll down to tap “Sign-in > Create New Apple ID”. Step 3: Fill-in the form to create your Apple ID, and click “Next”. Step 4: Enter your credit card and billing information, then tap “Done”. Step 5: Check your email to verify your Apple account. Nevertheless, there are many disadvantages in using multiple Apple IDs, and you may experience difficulties using multiple Apple IDs for Apple products and online services. So, it’s not advisable to create multiple Apple IDs. You can create Apple ID without credit card or billing information. This means that the “step 4” above where you fill in your credit card and billing information will not be required. 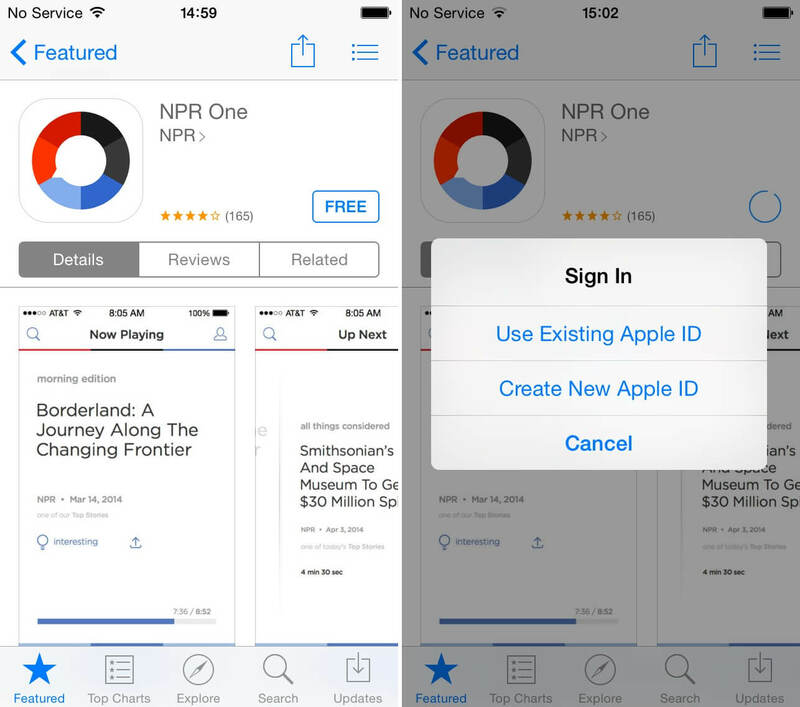 Step 1: Launch the App Store app on your iPhone, and search for the free app on the platform. Step 2: When you find one, click the “GET” tab next to the app. You will be asked to sign in with Apple ID, click “Create New Apple ID”. Step 3: Follow the onscreen guide, and when asked for payment information, choose “None”. Step 4: Check your email to verify your Apple ID. Do you know that with Family Sharing, you can create Apple IDs for children under 13 years of age? Creating an Apple ID for them will allow them to participate in Family Sharing and use other Apple services and products. 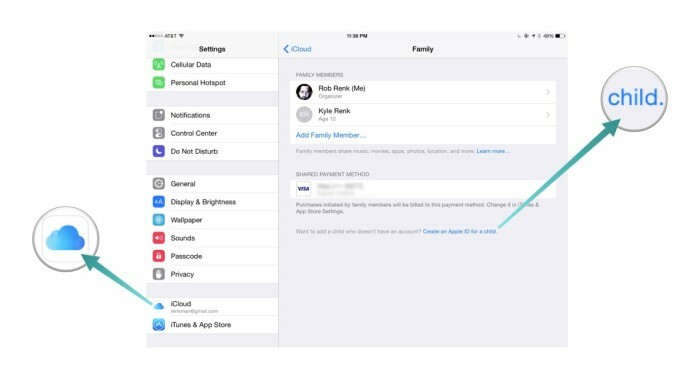 Step 1: Wake your iPhone, and go to “Settings > [your name] > Family Sharing > Add Family Member > Create an Apple ID for a child. Step 2: Enter your child’s birthday and click “Next”. Step 3: Review and Agree to the Parental Privacy Disclosure, and tap “Agree”. Step 4: Enter your payment information and Child’s tap “Next”, then create his/her Apple ID and click “Next”. Step 5: Follow the onscreen guide to set up a password and security question for your child’s account. Apple ID contains user’s personal information and settings, and when an Apple ID is used to log into an Apple device, the device will roam all the user’s settings and personal data associated to the Apple ID. So, if you have plans of giving your old iPhone 7s to your child, then it’s important you completely reset your iPhone before giving it to your child. The best way to completely reset an iPhone is to totally wipe all its data using an iPhone data erasing tool called iMyFone Umate Pro. iMyFone Umate Pro for Win or for Mac supports all iOS devices and can delete everything on your iPhone. 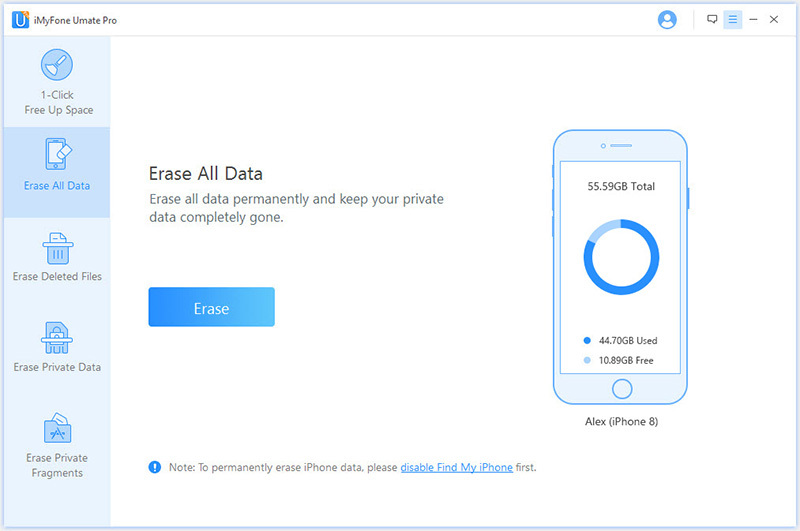 All your personal and online billing information will be wiped out once you use Umate Pro’s “Erase All Data” mode to clean your iPhone. Completely reset your iOS device without any chances of recovering any data. Erase your entire iOS data to make your iPhone look and feel like a new one. Scan and erase even deleted files that are still lurking in your iPhone storage memory. All files and data erased using Umate Pro can never be recovered by any man, tool or software. Free trial for all of the features. Step 1: Download and install Umate Pro on your PC. Connect your iPhone to PC using a USB cable. Launch iMyFone Umate Pro on your computer. You may need to trust your computer if you’ve never done so before. 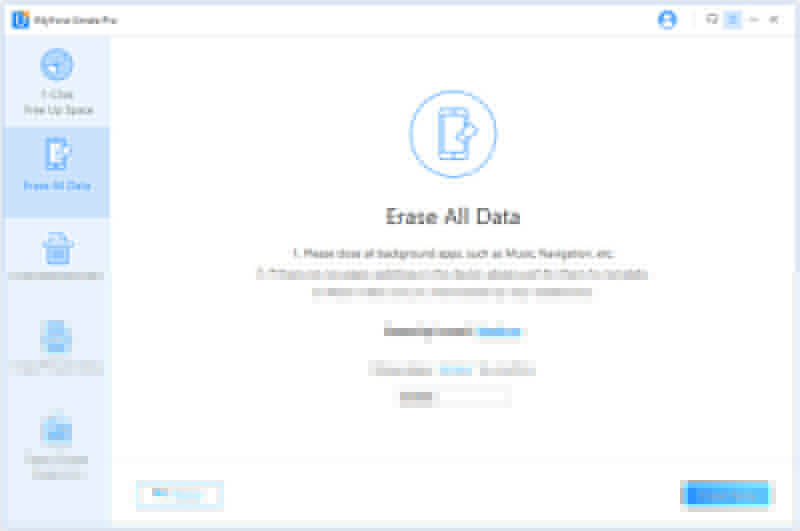 Step 2: Click “Erase All Data > Erase”. Step 3: Type “delete” into the box to confirm, and select your security level. Step 4: Click “Erase Now” button to start erasing your iOS device.